Here are some from the hosts! Here is our Top 10 for Sept 14, 2015’s @Hashtag_or_else Game #HorrorCharacterTweets! 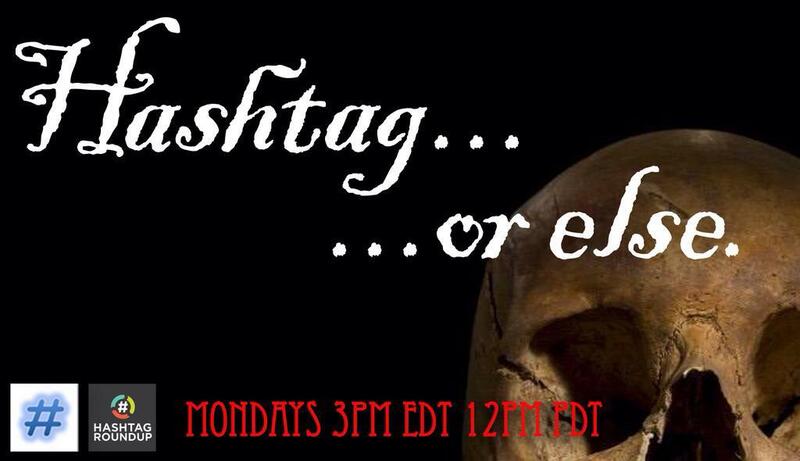 Join us next Monday, Sept 21st for a new game co-hosted by this week’s winner… Amy @bunnyhugger75!!! Play Hashtag or Else! Weekly with the @HashtagRoundup App – Free for iPhone, iPad, and Android!